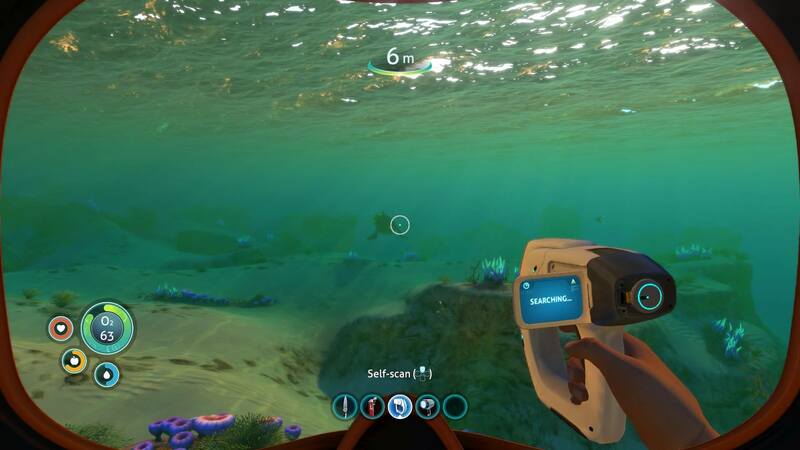 Subnautica is an open-world survival-adventure video game developed and published by Unknown Worlds Entertainment, it seems like "mine craft"
the game starts when you found that your ship "Aurora" gets crashed and the only way to go is down into the water. You need to get the tools and equipment in order to repair your ship to get home, But you will face a lot of obstacles in the sea. This game depends on collecting resources from the bottom of the ocean to build new equipment and tools so that you can face the aquatic creatures that will face you when you collect the resources you will have to go back to your ship again To make the tools you need. 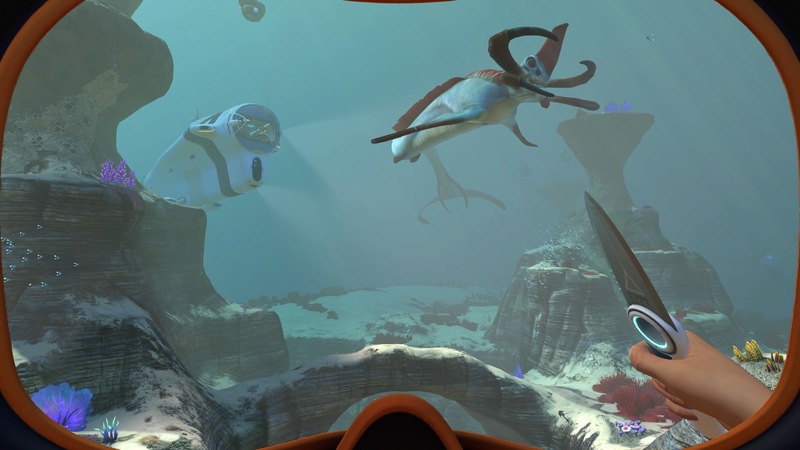 As you discover the ocean full of horror you will have a specific diving range, you must open Seamoth and face the giant to get a larger diving range and then you will find higher resources.there is no map in the game so you can't know where you are so you have to be closed as much to your ship to avoid the Predatory Creatures in the dark. 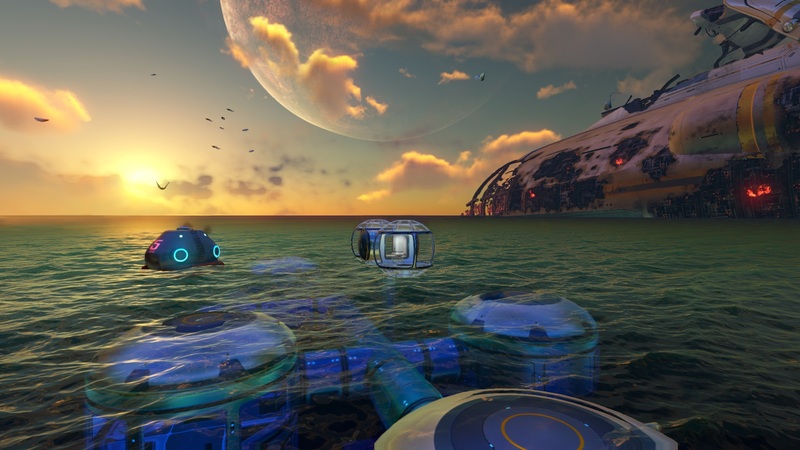 You can also build an underwater base to store resources to replenish the oxygen supply while exploring the ocean. You can swim as fast as you can to survive the predators. You can build a pressure-resistant suit so you can get down to the deep ocean. In the dark, predators appear, so you must be careful. You should also monitor your oxygen levels and alerts system. An amazing and lengthy experience. Atmospherically very well done fauna, flora and geological layout. And it even has some nice story moments sprinkled in. This is not simply survival/crafting game - it has a story which is minimalistic but very well written, with a very satisfying conclusion. as long as they make it good in the end! this was free for a certain time on epic games, but i chose not to get it. maybe i should've installed it while it was still free.. I LOVE Subnautica and I wish I had a better PC for playing it.. This has been on my Steam wishlist for a while, and I got my copy at Epic Games for free a few weeks ago. The game is really amazing. I played this game when it was free on epic games and its wonderful! Subnatica is a really great game. Who recomend 10 out of 10.
never have got to play it.